Posted March 28, 2019 by argus & filed under Sales. 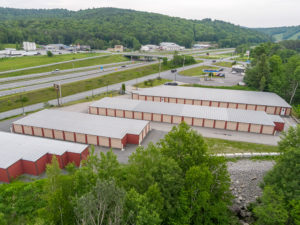 Joseph Mendola of NAI Norwood Group of Bedford, NH., represented the seller and assisted the buyer in the sale of Exit 17 Self Storage. This property is located in the Upper Valley of New Hampshire which is an anomaly market. The area has a high concentration of businesses and a major College. The available land area is scarce and expensive. The zoning is not very favorable for self-storage use, making this a high barrier to entry market. This is a recipe for strong growth for existing facilities. There are 476 units that are a combination of climate controlled and traditional storage units. The facility has two locations. One site is not very visible to major traffic and the second location sits on an exit of an Interstate highway. The seller developed these 2 sites over the last 20 years and decided to take advantage of an excellent market for investment properties with this sale.